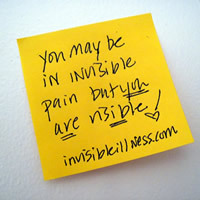 This morning I heard a man associated with the Wounded Warrior Project using the term "Invisible Injury". It got me to thinking about how so many wounds are intensely felt but cannot be seen. In a world that fixates on visible wounds it is good to remember the following excerpt from the book, "Surviving and Other Essays." "What cannot be talked about cannot be put to rest. And if it is not, the wounds will fester from generation to generation." The book was written by Bruno Bettelheim, a concentration camp survivor who took his pain and became a child psychiatrist. Yet in the end, Mr Bettelheim suffered from depression as he battled the aftermath of his wife's death and the effects of a stroke which impaired his mental abilities and paralyzed part of his body. He was 86 when he committed suicide. Mr Bettelheim's story is not all that rare - I wish it was. So often wounds that are invisible are ones that are the hardest to heal.. so often healing seems to come for a while and then new wounds surface - even when one knows all the right healing methodologies. For me, the takeaway is our need to develop a compassionate understanding of these kinds of wounds. after seeing her leg. Fast forward 5 years when she met and fell in love with Jaya. After dating some time, and realizing things were getting serious, she let him see her leg. I love my SIL so much, for this was his answer to Jill... "Everybody has scars, some are on the outside, some are on the inside, and I will love you and your special leg for the rest of my life." Just thought you might like that glimpse into our lives. BTW they just celebrated anniversary #11. Thank you for your inspiration for my a post of my own next week. What drives a person to take their own life is unfathomable to me. Stuffing down our feelings is like a festering wound. Thanks for the post and reminding me to listen more and love more.